Microsoft Word does a very good job of finding grammar mistakes and underlining them in green, and finding spelling mistakes and underlining them in red. 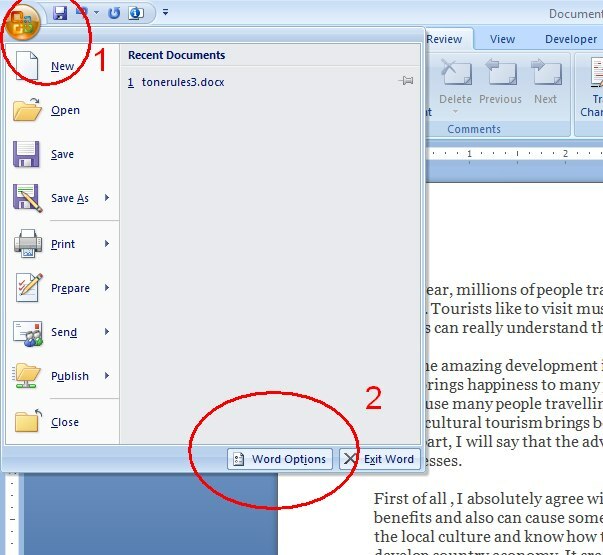 It can also tell you your word count and your average number of words per sentence. 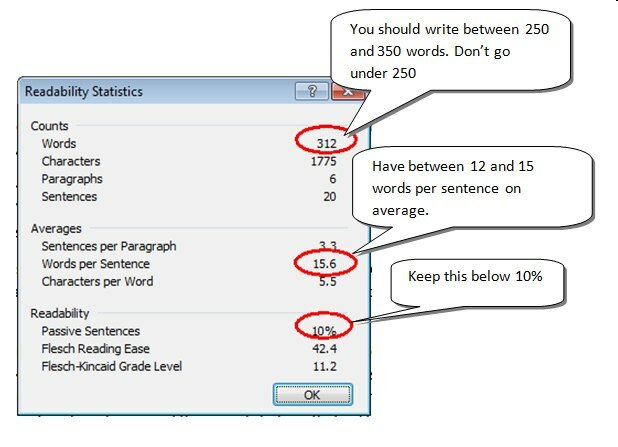 These are very important figures: you need 250 words for Task 2 in IELTS writing (the opinion or argument essay) and you should aim for an average of about 12-15 words per sentence. A mix of short and long sentences is best – don’t write all short or all long sentences. To see these statistics, you may need to change some settings in Microsoft Word. 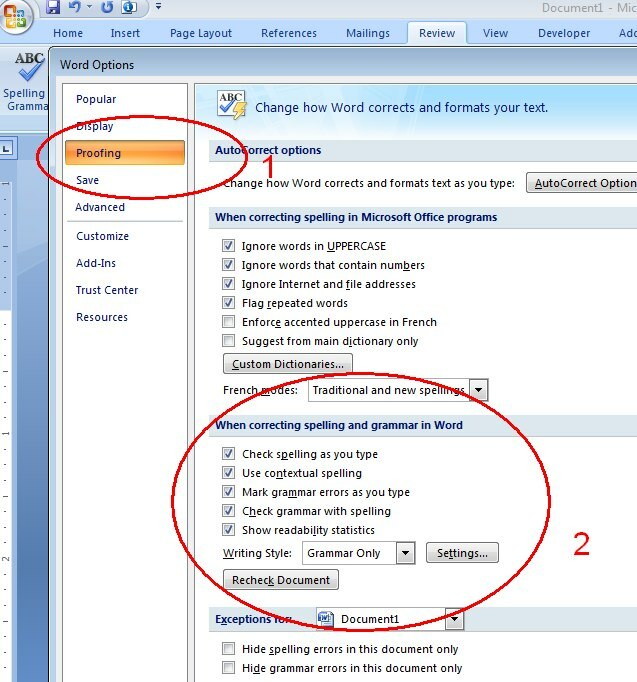 Here are the settings from Office 2007. Now click on “Proofing.” A new window opens. There are a huge number of grammar settings but the basic ones are fine. 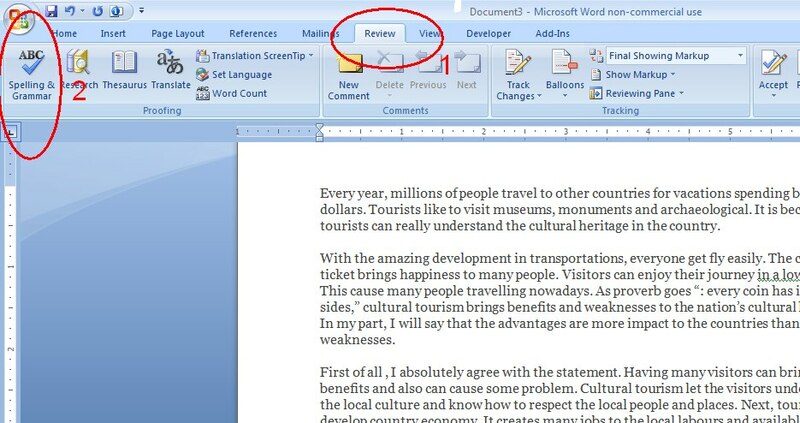 Once you are in the Review ribbon, click the ABC Grammar and Spelling button on the left.